Milwaukee’s court system has steadily changed since Wisconsin was first organized as a territory. 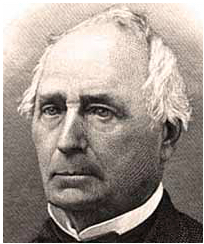 During the territorial era (1836-48), the Milwaukee area was one of three Wisconsin judicial districts; it was served by Judge Andrew Miller, who was both a trial judge and a member of the Territorial Supreme Court. At statehood, Wisconsin was divided into five judicial circuits. The legislature also created county judges who decided legal matters of lesser value and importance than circuit judges. Levi Hubbell was elected the first judge of the Second Circuit, which included Milwaukee. Congress also created a new federal district court for Wisconsin; President Polk appointed Judge Miller as the state’s first federal judge; Miller held his court in Milwaukee. During the 1850s and 1860s Miller became a controversial figure, particularly for his role in upholding unpopular federal fugitive slave laws. He eventually incurred the wrath of U.S. Senator Matthew Hale Carpenter. In 1870, Carpenter persuaded his Congressional colleagues to reduce Miller’s power by creating a separate federal district court for western Wisconsin. The Milwaukee circuit originally included Milwaukee County and three other counties. As the state grew, more circuits were created, and in 1882, Milwaukee County was given its own circuit. As Milwaukee continued to grow, more judges were added to the circuit: by 1900 Milwaukee had two circuit judges, by 1950 it had nine judges and by 2000 the number had increased to 47, which is also the current number (as of 2016). 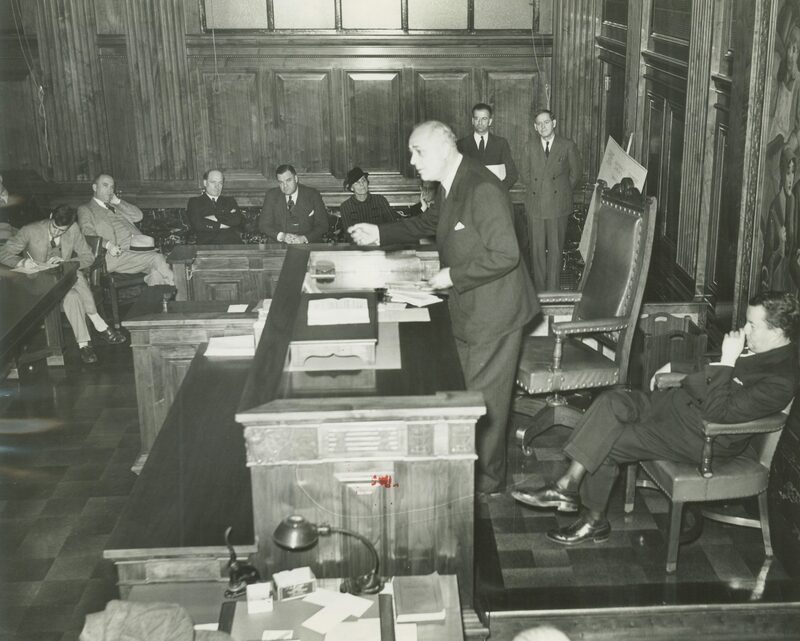 In the mid-twentieth century the legislature created a separate municipal court for the city of Milwaukee; the court handles traffic matters and municipal ordinance violations. The Milwaukee County Clerk of Courts is responsible for administering the court system and calling residents for jury service. Originally jury service was limited to white males, but after George DeReef, a leading Milwaukee African-American attorney, protested, racial barriers were eliminated in 1919; the legislature authorized women to serve on juries in 1921. Prior to 1977, circuit and county judges’ decisions could be appealed to the Wisconsin Supreme Court as a matter of right. By the 1950s the Supreme Court was receiving several hundred appeals each year; the justices complained that they could not handle such a large caseload, and other Wisconsinites complained about the cumbersome, inefficient patchwork of courts that had grown up over the past century. For example, in addition to circuit and county courts, Milwaukee had a civil court, a district court, and a children’s court. After two decades of lobbying, in 1977 the legislature approved and voters ratified an overhaul of state courts. Milwaukee circuit and municipal judges remained in place but all other courts were abolished. In order to reduce the Supreme Court’s burden, an intermediate appellate court was created with four districts, one of which served Milwaukee County exclusively. The court system’s current size, compared with the modest system that existed in 1848, is a telling indicator of how Milwaukee has grown and prospered since statehood: today Milwaukee is served by 47 circuit judges, four state appeals judges, three municipal judges, and four active federal district court judges. ^ Joseph A. Ranney, Trusting Nothing to Providence: A History of Wisconsin’s Legal System (Madison, WI: University of Wisconsin Law School, 1999), 30. ^ 1848 Wis. Laws, pp. 150-51; Alfons J. Beitzinger, “Federal Law Enforcement and the Booth Cases,” Marquette Law Review 41 (1957): 7; William Thompson, Matthew Hale Carpenter: Webster of the West (Madison, WI: State Historical Society of Wisconsin,1954), 145-46, 183-84. ^ See 1882 Wis. Laws, ch. 55; 1901 Wisconsin Blue Book (Madison, WI: State of Wisconsin, 1901), 589; 1952 Wisconsin Blue Book (Madison, WI: State of Wisconsin, 1952), 445; 2001-02 Wisconsin Blue Book (Madison, WI: State of Wisconsin, 2001), 581-82; 2013-14 Wisconsin Blue Book (Madison, WI: State of Wisconsin, 2013), 571-72. ^ Joe William Trotter, Jr., Black Milwaukee: The Making of an Industrial Proletariat, 1915-45 (Urbana, IL: University of Illinois Press, 1985), 65-72; 1921 Wis. Laws, ch. 529. ^ Ranney, Trusting Nothing to Providence, 599-600. ^ Wis. Constitution, art. VII, §§ 3 and 5 (amended 1976). Cannon, Thomas G. Equal Justice: A History of the Legal Aid Society of Milwaukee. Milwaukee: Marquette University Press, 2010. Ranney, Joseph A. Trusting Nothing to Providence: A History of Wisconsin’s Legal System. Madison, WI: University of Wisconsin Law School, 1999.